A drug seizure with a twist, as the Feds catch Texas trying to import part of its death penalty cocktail from India. Also: A new report upsets the old narrative as Texas climbs to third in the nation on reading and math scores. 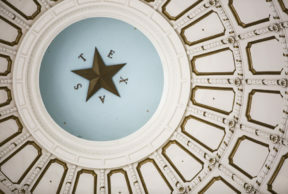 Plus: A Texas lawmaker wants Capitol Hill to ban the word “alien” from government use. He says its dehumanizing – what does history say? And: The science behind getting scared, a love letter to Lubbock and lots more – all on today’s Texas Standard.